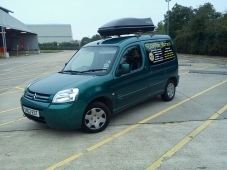 I WORK IN PARTNERSHIP WITH ICARUS PEST MANAGEMENT ON ALL AVIAN PEST CONTROL. 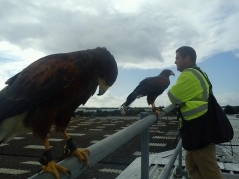 WE COVER ALL ASPECTS OF BIRD CONTROL. SPECIALIZING IN FERRAL PIGEON INSIDE OR OUTSIDE & GULLS NESTING ON FACTORY / WAREHOUSE ROOFTOPS. THE RESULTS SPEAK FOR THEMSELVES, THIS REALLY IS AS 'GREEN' AS PEST CONTROL GETS. WE USE VARIOUS HAWK AND FALCON SPECIES TO CARRY OUT THE WORK. WE ARE FULLY INSURED AND TRAINED TO WORK AT HEIGHTS. WE COMPLY FULLY WITH YOUR OWN HEALTH AND SAFETY REGULATIONS. WE ARE 'SAFE CONTRACTOR' ACCREDITED AND PROVIDE OUR OWN RISK ASSESSMENTS & INSURANCE. WE ALSO WORK WITH A MINIMAL DISTURBANCE TO YOUR STAFF. WE CAN OFFER 'ONE-OFFS', SHORT & LONG TERM CONTRACTS- ALL AT COMPETETIVE RATES.